What is an Open API and Why Do Hotels Need Them? APIs, or Application Program Interfaces, are the backbone of any digital network of programs. 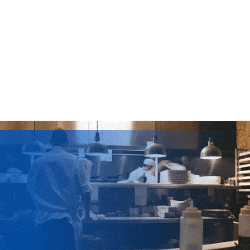 They are how we connect the various hospitality software, applications, and programs that keep our hotel operations running on a daily basis. So when choosing new technology for your hotel, it's crucial you consider how the API will work. In 2013, there were 10,000 open APIs made available to the world by all sorts of different technology companies. Unfortunately, there's still a protectionist attitude held by some traditionalists (yes, even in the hospitality industry) that keep APIs, and therefore valuable data, trapped behind exorbitantly expensive paywalls or need-to-know-basis-style information hoarding. The good news is that APIs are trending towards being open, meaning developers can freely access them in order to link systems, gather more information, and create a streamlined experience for users and customers. In fact, many of the most powerful tech companies have open, readily-accessible APIs. So let's take a look at what APIs are, how they work for hotels, what you can do to make sure you have the right setup. First off, let's look at what an API actually is. The short version: An API is a means for communicating between systems and programs. It could be your internet browser calling up the news from your favorite news outlet. It could be the weather app on your smartphone pulling weather data from a 3rd party weather monitor. Or it could be booking.com pushing updates to your CRS or channel manager. "API" stands for "Application Program Interface." If we carefully break that down, we find the meaning: it is a way for applications or programs to interface, or connect and communicate with each other. There are many different methods to enable applications to talk to each other. In hospitality tech especially, there are tons of methods used. But that's a bit beyond our level of interest at the moment, so let's stick with the basic concept: An API is how two systems communicate. To learn more about what an API is, check out this great primer by Zapier. How Do APIs Work for Hotels? Let’s take look at a hypothetical example to get a better idea of how an API might work in a hotel. Let’s say that you run an independent city hotel in historical center of Prague, Czech Republic. What would you use from a technological standpoint? First, you have a PMS as your central system. Then, you probably have a few other internal systems: an accounting system, a housekeeping system, and an entertainment system,and so on. Yet another layer of complexity is introduced when you belong to a hotel chain and things like a central reservation system come into play. Take a look at this hotel tech distribution chart to get an idea of how many different applications might be connected over an API layer. Having all of these systems presents several challenges. On a technical level, probably the biggest challenge is to make these systems properly talk to each other and share information. For example, many of these systems must be able to share and synchronize information such as hotel rates, reservations, guest information, and so on. You also have many different interfaces for human-system interaction: computers, kiosks, smart TVs, and cellphones to name a few. Most likely, all of these systems come from different vendors and providers. Yet they must all be able to communicate with each other and share information. But that doesn't mean you can just automatically sync programs with the click of a button. Programs are coded using different complex languages, and have their own internal methodologies and rules for processing data and doing what we need them to do. So developers must build externally-facing functionalities in their programs so that you can, for instance, publish a photo from your camera roll on Instagram without either app crashing. Advantages of an Open API? So why an Open API? What are they and why are they special? When an API is open, it means that the externally-facing part of the application is more or less public. It is designed in a standard manner that allows for easy integration with other programs. In such a complex environment, all these systems need to have a clear and seamless API layer so that the communication and synchronization between them happens efficiently. The better and “cleaner” this API layer is, the less time and money is needed to connect systems and maintain them. An API that is well-designed and properly integrated with your other systems will help you provide better experiences for your guests and will make your team's jobs easier. A system with a great API can even be leveraged for building your own reports or entire applications on top of it. The final, and most crucial advantage, administratively speaking, is you can change hardware or software as needed, because your old data is easily accessible. In other words, as you grow, the API can grow with you. So how can you determine if an API is built properly? The right API must be flexible, easy to understand, and do the job that you need it to do. This means you'll need to be able to connect the system to your existing systems. While it depends on the specific programs your're using, it will need to at least connect with your PMS. You should also be able to export data from the system through the API so that you can see the reports you want– statistics, aggregations, and the like. 1. Does the API support PMS integration, integration with other programs you use, and allow you to export any data you might want to access? 2. Does it have a developer portal and API documentation which explains everything in detail? Having a good API allows for powerful integration, connectivity, and maximum value out of the programs you're using and the data you have. They represent a philosophy of "integration" in the truest sense of the word. It acknowledges the fact that many of the apps, programs, and systems we use are interlinked, and that there is huge possibilities in further linking these systems. Instead of walling off program from program and users from their own data, we should be encouraging users to use their own data and digital programs and tools in tandem with each other. This should not only be allowed, free-of-charge, but should be actively designed for. As citizenM COO Lennert De Jong told us recently, "Hotels need to be more open. They should reduce the amount of friction in new types of technologies. You are in charge of how you want to do things, so don't let anyone take you hostage, in a technology contract or in your commercial distribution contracts." In fact, there are highly-reputable associations like OpenTravel and HTNG who set standards for industry players, and encourage those in hospitality to foster the sharing of travel data and designing of systems and technology that work well together. 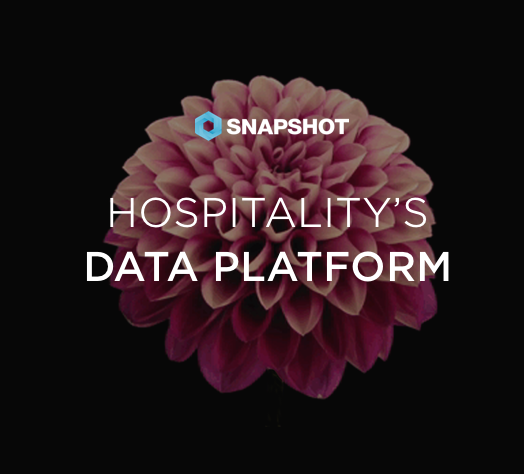 So it's time for the hospitality industry to adopt Open APIs. Other industries are way ahead of us on this front, and the advantages are already proven. Open APIs in hotel tech are not only a good idea, they're the future. Time to hop onboard.